several years ago (probably about 5 years now) i made the word "love" using soft letter pillows. 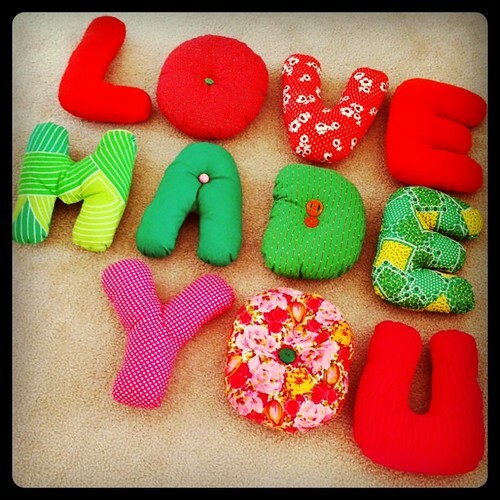 sometime back, probably about 2.5 to 3 years ago (when poppy was but a wee little thing), i added the words "made you", thinking it would, in toto, make a neat wallhanging somewhere, someday, in our home. perhaps over a bed, or maybe even in the kiddo's space. i like the idea of those words together, because really, for most of us, it's kinda true. idealistically anyway. :) finally got around to snapping a photo this past week. (wow i'm slow.) maybe in about 5 years i'll actually get around to hanging them up. ha ha ha. working on some other small baby-quilt/wall-hanging sized patchy/quilty stuff. will reveal at a later date. 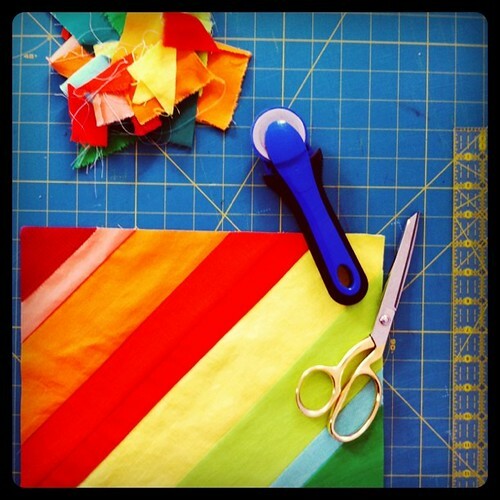 taking an all day free-motion quilting course at a local fabric store on friday...i'm pretty excited.